The pressure of financial constraints is seen to be forcing the service’s managers to restructure services, and thereby reduce the quality and quantity of services the ambulance service provides. The ambulance crews acknowledge that this is not the type of service these managers would choose to provide if resources were adequate. 2	Equipment levels are being reduced below acceptable levels on the ‘Patient Support Vehicles’ and there are no clinicians on these vehicles. 3	Manning levels are frequently inadequate to meet demands: on a daily basis. 4	Staff are being poorly managed (sometimes by managers in the process of redundancy). a. Fewer ambulances are available to cope with emergencies and lower qualified staff (non-clinicians) are finding themselves crewed together and expected to manage patients and situations outside of their scope of practice. b.	Double-crewed ambulances are in some places being removed and replaced by ‘Patient Support Vehicles’ which are designed for walk-on, walk-off patients. c.	These PSVs are manned by two Emergency Care Assistants, non clinicians, with no Paramedic on the vehicle. d.	The Staverton and Stroud bases are suffering particularly from the reduction of paramedic cover, as double-crewed vehicles are replaced with PSVs . e.	Poor triaging is compounding the problem of both highly qualified crews in fully equipped ambulances being sent to low-level incidents and vice versa: inadequately trained crew and under-equipped ambulances being sent to critical emergencies. And in some instances, ambulances being sent over-long distances to emergencies that need very prompt treatment. These changes, downgrading the number and equipment levels of available ambulances, have been implemented at the Staverton base with effect from 3rd June 2013 and Stroud, and are anticipated at one other ambulance station, to replace Cirencester Station shortly. Thanks to the intervention by the local Member of Parliament in Cirencester, that base is being protected against vehicle downgrading. However, along with other Gloucestershire ambulances, they are being used daily out of the County to cover vehicle shortfalls elsewhere. If utilised correctly, PSVs could have a positive impact but not at the cost of reduced numbers of frontline, 999 emergency ambulances. Prior to the introduction of the PSVs, crews reported frequent general radio broadcasts of emergency calls, asking for any DCA’s to be available to help, and emergency backup requests for Response Cars, when no ambulances were available (known in the service as ‘stacking’) on a daily basis, sometimes hourly. This evidences the need to keep all the frontline fully-equipped ambulances (DCAs) in service, with the lower care capacity vehicles being used to complement, not replace, the emergency cover. (DCAs are the best equipped ambulances, normally staffed with both a qualified paramedic and an Emergency Care Assistant, non-Clinical, for use in emergency response occasions Cirencester, thanks to the intervention of the local MP, has retained its second DCA but this vehicle is frequently not available in the County as it is called to deal with shortages further south). The merging of emergency and scheduled services within the SWAS has also created extra pressures, as ambulances are diverted to other areas in the expanded region of the South West Ambulance Service Foundation Trust – in particular crews from Gloucestershire are finding themselves diverted to respond to calls over greater distances, especially to the Swindon and Bristol areas and further south, leaving Gloucestershire’s service levels depleted, putting people’s lives in Gloucestershire at an unacceptable risk. We understand that the decision has now been taken to contract out the third service providing scheduled hospital transport – the Patient Transport Service. One consequence of this is that the vehicles in that fleet will not be available to backup the SWASFT fleet, so the flexibility offered by all services being provided ‘in-house’ will be lost. Furthermore, the concomitant reduction in budget with the PTS being hived off, could lead to further cuts in the A&E services. Changes, both those directly resulting from the merger of the Great Western Ambulance Service into the SWASFT Ambulance Service and others prior to that event, are being implemented too quickly and too frequently. In talking to several ambulance staff it was very apparent to 38 Degrees members how confused they are about which regulations and systems are now current. As a result of these factors, staff morale is at an all time low and stress levels are increasing amongst the workforce. Furthermore, 38 Degrees members are extremely concerned that they were called on by ambulance service staff to expose these worries that they have over the service to which they are loyal. The reason they did this is that they are not confident that their personal positions will be protected if they act as ‘whistle-blowers’ themselves. We, the members of 38 Degrees Gloucestershire, an informal organisation comprising concerned people in the County witnessing worrying pressures on the services they rely on, ask that you do whatever you can to help these concerned staff to maintain the integrity of the service they provide in the County, and which they are proud of. The central needs appear to be for a short-term funding boost to carry the service through its difficult period of transition to a multi-county service, and most importantly: to listen and work with the Staff, who have the interests of their patients at heart. Background relating to restructuring of service. The Ambulance restructuring programme became necessary through inadequate funding to frontline services rendered in the Avon district. It appears the Ambulance Chiefs needed to address this situation by prioritising the Avon area, thus depleting the service provision in Gloucestershire, through the transfer of funding. Ambulance personnel note that Avon are actively recruiting Paramedic staff in Avon. This will unduly impact on the service provided In Gloucestershire and put lives at risk. 1)	We mentioned that ambulance personnel were deeply concerned about the downgrading of Emergency trucks to PSV vehicles which were not equipped to the same levels and the personnel were not trained as clinicians. You responded by saying that you believed this was now common practice and that paramedics operated from cars, which was more efficient for getting to emergencies. Having rechecked that claim, I have once again contacted ambulance personnel who emphatically declare that under emergency conditions; the most efficient delivery is met by Emergency Trucks, with all the equipment levels on board and two personnel, one of whom is a Paramedic, which is critical in carrying out medical procedures as well as conveying the patient to the vehicle. That is to say that Emergency Clinical Procedures require two people to operate the equipment where one paramedic can’t do that on their own. Emergency trucks offer all round holistic care, which one man vehicles are unable to do, and essentially can transport patients ‘without extended delay’ to the most suitable hospital. They also emphatically declare that there is ‘not’ the same level and amount of equipment in the ‘cars’ as there are in the Emergency Trucks, and patients can’t be conveyed in cars. Time is, as you are no doubt aware, critical in conveying patients to hospital in such emergencies. The ‘cars’ only carry “core emergency equipment,” to maintain life until an Emergency Truck arrives, which has equipment such as ventilators which are too big for cars along with lifting bags and other special lifting equipment. Added to which, doctors at minor injuries or doctors’ surgeries do not want to see a paramedic turn up in a car, when what they really need is an appropriately equipped vehicle and two properly trained personnel. The ambulance personnel see the use of cars as “Clock Stoppers,” their language for meeting time deadlines rather than genuine efficient use of personnel and equipment. In certain emergencies these trucks can save lives which cars can’t. Further to our discussion with you, we mentioned the Out Of Hours service. 1)	In our opinion due to the cost of the tendering process, the GCCG should not be offering the OOH service to tender; as the guidelines stipulate that contracts should not be processed below £9 million and this particular contract is for just £6 million. 2)	We feel that due to the costs involved in tendering out OOH, this is wasting front line money that should be deployed to improve other areas of the NHS where investment is needed. We need an explanation as to why these services are being offered to tender when clearly the NHS is the best provider. One failure of tender might plausibly be due to cost of provision of that tender, but to fail three times, on three separate contracts indicates that not only the NHS is the best provider, but undue preference is being given to the private sector. Please note also, that prior to the introduction of the 111 service, Gloucestershire’s OOH held the “Gold Standard,” which other services nation wide sought to emulate. 3)	With regard to the South West Ambulance Service we see the outsourcing of the PTS as not improving service but actually reducing the flexibility of the service which it currently had at it’s disposal.Why contribute to the plethora of contractors now to provide PTS across the country with all the lack of resilience that is likely to create, when resilience is exactly what is needed, especially during the winter months. 4)	What is happening with the tendering of the OOH service? Would it not be sensible for the GCCG to extend it’s contract over and over again, as it is currently operated highly successfully by the NHS? Why have they renewed the contract of the present provider three times already if they are not happy with the service or costs? Especially in the knowledge that they previously held the “Gold Standard” for the whole of Great Britain, and foreign countries traveled here to research how they operated. 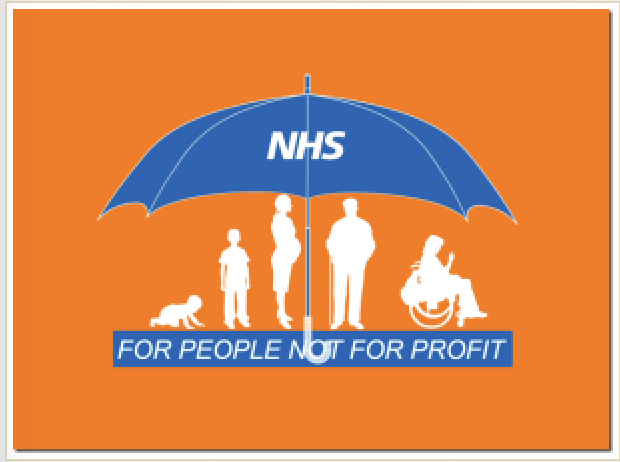 « ON SOME PRIVATE NHS PROVIDERS – DOSSIER TWO. Would you trust Circle Health with Weston General Hospital?